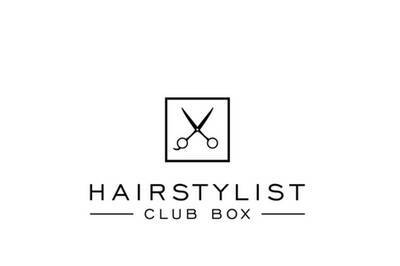 Enter your email address below to receive a notification when Hairstylist Club Box starts accepting new sign-ups! 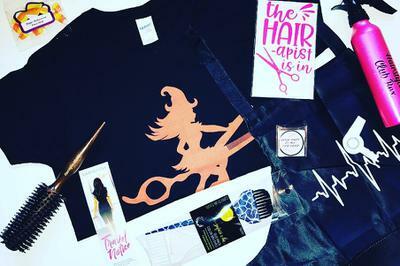 Enter your email address below to receive a notification when Hairstylist Club Box is accepting new sign-ups again. 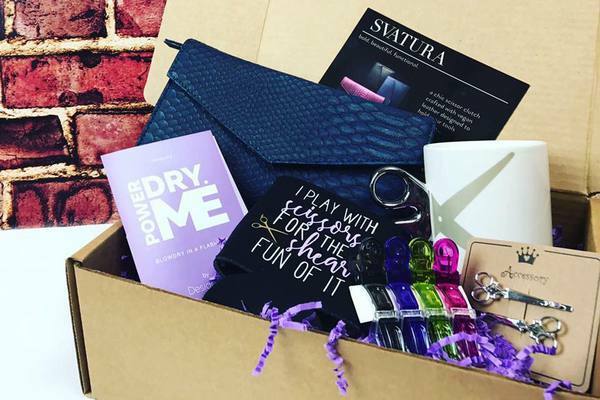 A monthly subscription box for hairstylists. Every box contains unique & custom hairdresser items. Your box will ship the beginning of the following month. Hairstylists it's your turn to have fun! 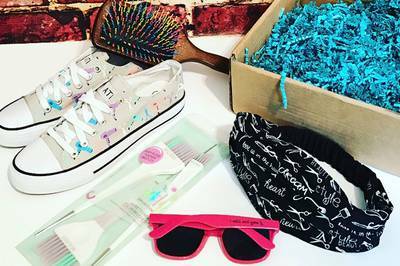 Every month we will work our hardest to create a new box filled with hairstylist themed items from jewelry, t-shirts, car decals to new fun supplies for work! 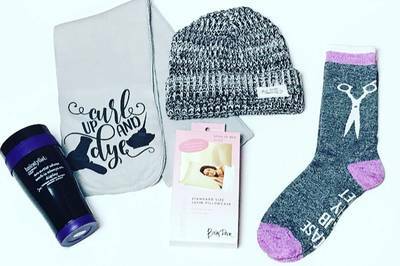 We also will add some of our custom designed items from our website All The Rage Shop to make them extremely unique and one of a kind! I signed up up in December first box in January definitely got my moneys worth! They some cute stuff! And alwzys something in there you might not like but just but to the side and give it as a gift! I cancelled this ---I paid for a. hairstylist water bottle and they sent the wrong item .... so I emailed them and emailed them. And emailed them. ( at least 10 times ) no response. This was in Dec. I finally got an email stating they would ship.it right out. Almost 4 mos later I still havent gottenit and I am not happy at all. No customer service. 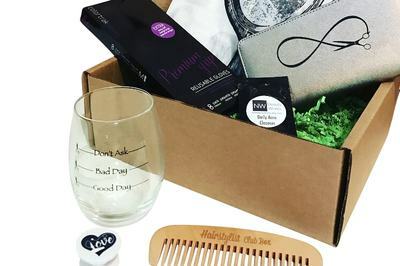 Worst subscription box ever , I can do that with my cricut , for less and buy the brush from bueaty supply .